Dr. Slusher chose Pediatrics because of her love for children. She truly loves her job and enjoys watching her patients grow and mature into young adults. Dr. Slusher educates her patients and their families, always listening and providing an atmosphere for open communication. As part of a multispecialty clinic, she can make the appropriate referrals to ensure comprehensive care, all under one roof. Dr. Slusher is currently accepting new patients. 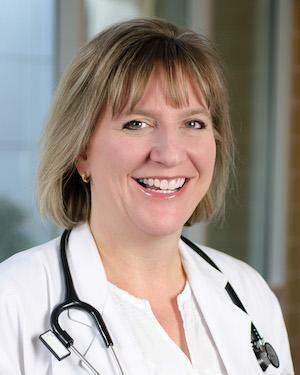 Dr. Tonya Slusher is married to Jaime Slusher, M.D. who is a Family Practice Physician in the Jonesboro area. They have two sons, Nicholas and Ben. Dr. Slusher and her family attend St. Thomas Aquinas Catholic Church. She enjoys spending time with her family, cooking, and photography.